Just stuff about me, my family, and things not related to my business that I feel like sharing…. Our granddaughter Lily is one week old today! 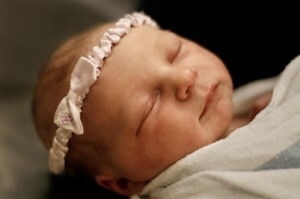 She was born on Tuesday, October 19, 2010 at 3:54 in the afternoon. On Thursday, she went home, and the new family is adjusting to new routines. Here’s a photo of the newest addition to the Cotey family! What a blessing it is to see your children become parents and have children of their own! It’s Tim’s 22nd birthday today, and Kristel is showing some signs that the birth of her daughter (and our first grand daughter) is fast approaching. Maybe this week? It will happen soon, that’s all we know! And we pray that all goes smoothly and a healthy baby girl is the result.